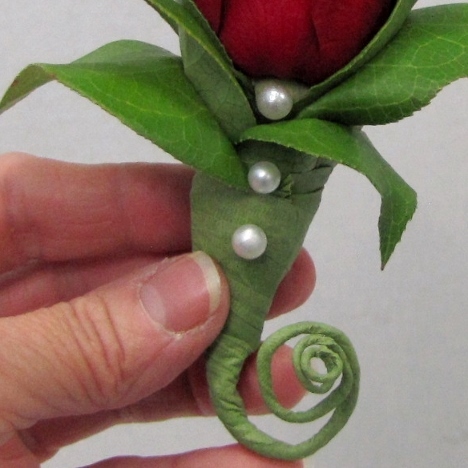 To finish this boutonniere's flowers, I decided to add one more leaf on the left. I now like the effect I've created - almost like the rose leaves themselves. 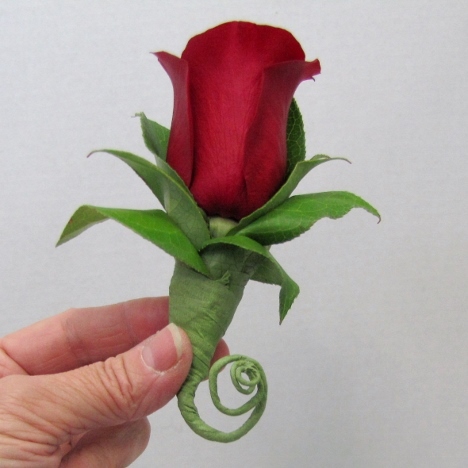 I'm curling up the taped stem. Tightly wound at the end, I carefully mold the curve of the spiral stem, using my fingers to keep a smooth rounded shape rather than sharp angles. With my curled stems in place, I'm now ready to add some pearl pin accents. 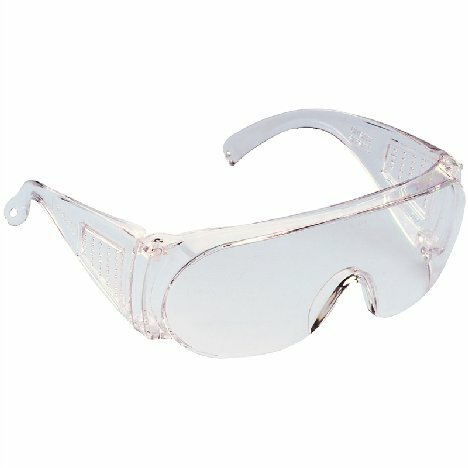 Always wear eye protection to protect them from flying pin sharps. 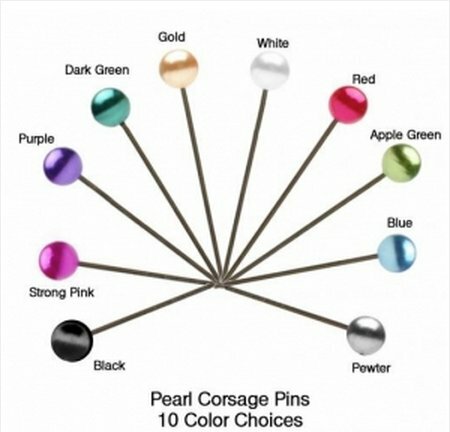 Colored corsage pins dome in a lot of different colors for complimenting your own wedding choice. 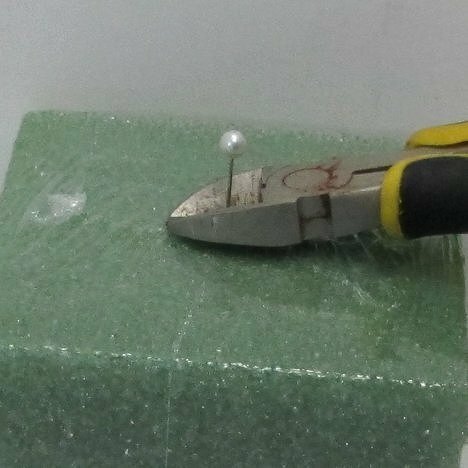 Always wear safety glasses and push the corsage pin deep into dry foam before cutting. 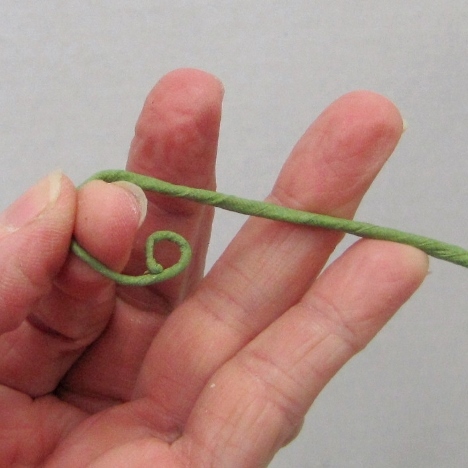 They aren't too hard to cut, but you do need a a sharp pair of wire cutters and a firm grip. 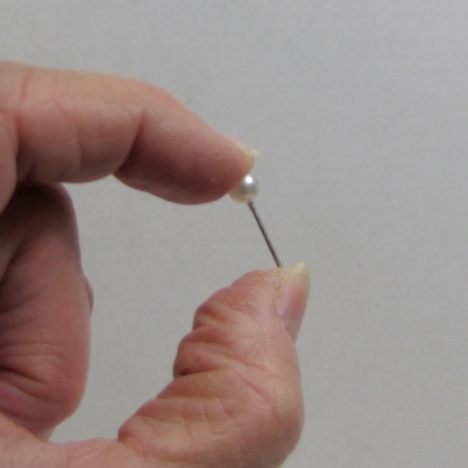 Place your finger of your free hand on top of the pearl to prevent it from flying off the work table. 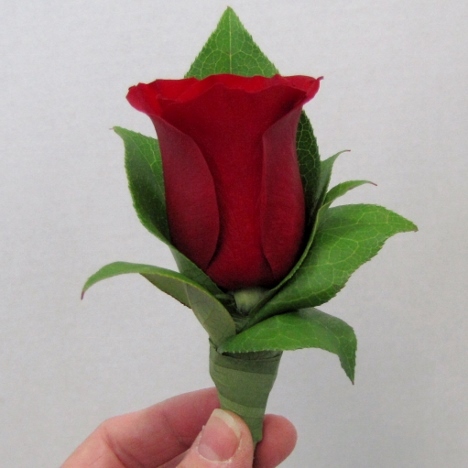 My shortened pins can be pushed into the taped boutonniere stem, pushing them upward so they are buried in the flower, not coming out the backside with sharp points. 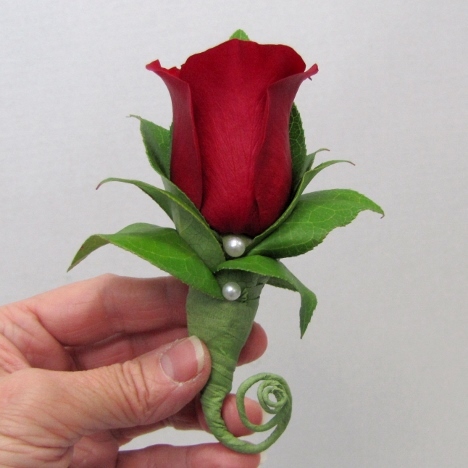 I push the first pearl pin right in the free opening beneath the red petals. I then add a second pearl below the first as shown in the picture. The third pin is buried in the bulk of the taped stem. 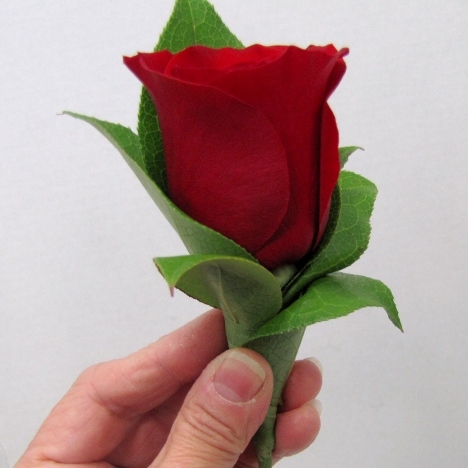 Don't forget the finishing products that professional florists use. 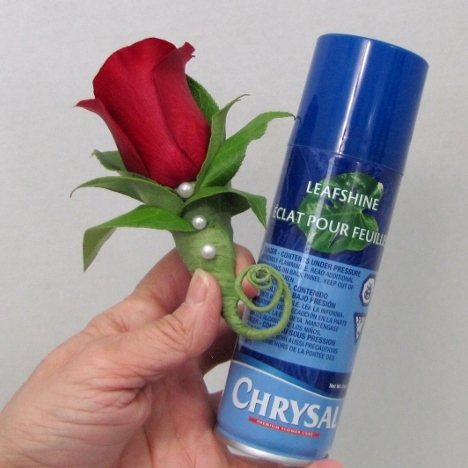 You can spray the greenery with a plant polish before designing for a gorgeous, glossy seal. 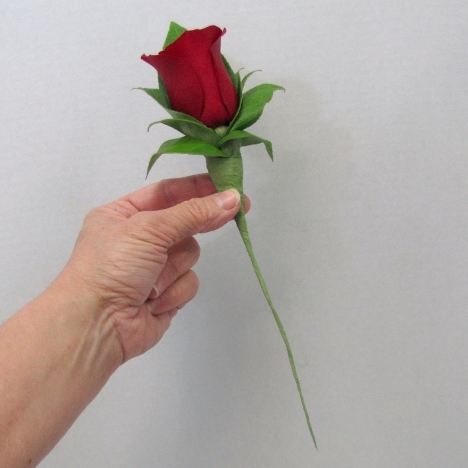 The flowers need a sealant made for their softer petals. 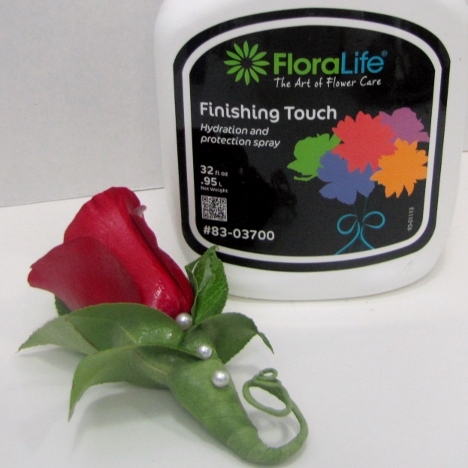 Floralife had a spray called Finishing Touch that I use on every one of my designs to ensure the flowers last as long as possible. 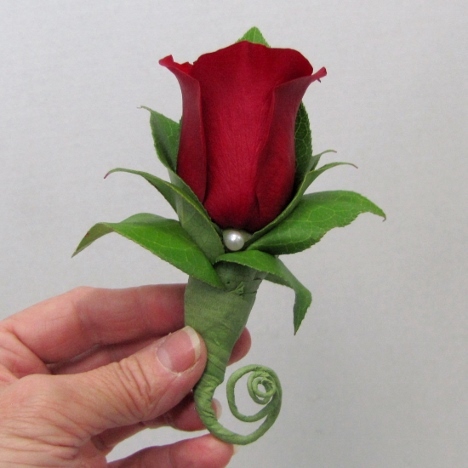 A beautiful simple design - but so much more glamour than simply pinning a red rose to a tux lapel. 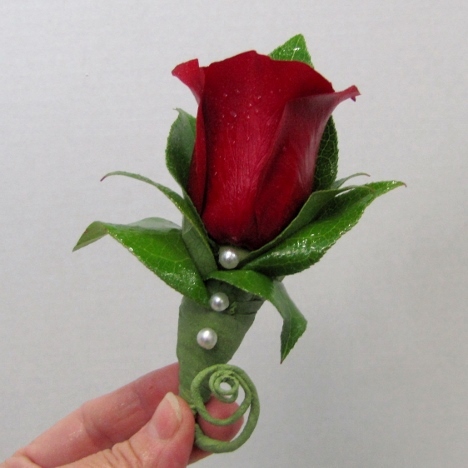 This lovely buttonhole can be used for a man or a woman. 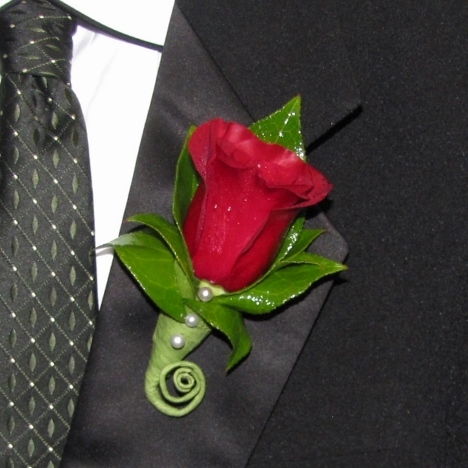 Boutonniere belong on the wearer's left lapel. 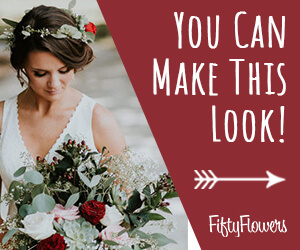 Use two corsage pins from the back of the lapel and push up and down firmly into the flower head so it doesn't flop around as the groom moves.